If Sheffield is serious in its plans to get more people cycling then National Cycle Network routes need to be protected from heavy industrial traffic. Planning applications which increase traffic levels on designated cycling routes need to be rejected if they fail to incorporate adequate protection for cyclists. Some time ago I wrote about a National Cycle Network route in Sheffield which was under threat from industrial development. 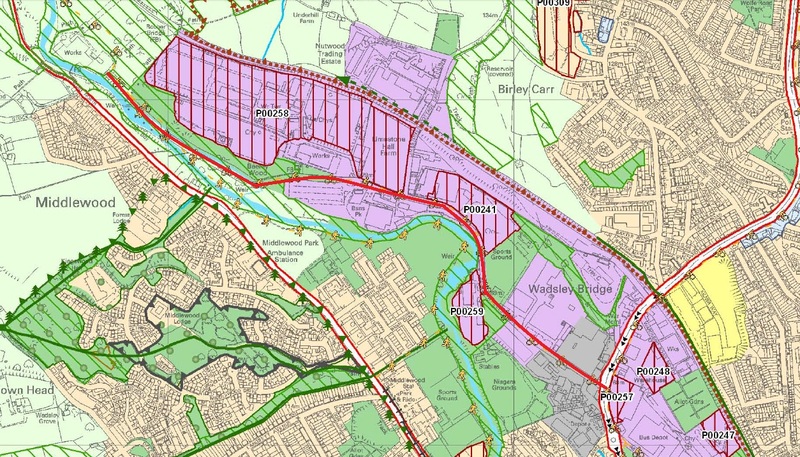 Today we hear that planning permission has been granted for the doubling in size of a recycling facility which will significantly increase the level of HGV traffic through the area. Clay Wheels Lane – This child has chosen to cycle on the footway. HGV traffic along the NCN route will rise from 16 articulated lorries (30 tonne) and 18 rigid lorries (24 tonne) per day to 36 articulated lorries and 41 rigid lorries per day. There is no cycle infrastructure or alternative route for people cycling. 3.6. Claywheels Lane is a two lane single carriageway road that serves a number of industrial premises used by goods vehicles. The junction with the A61 is currently subject to turning restrictions but the junction is being remodelled as part of an adjacent Sainsbury’s store development. 3.7. There is one other route to the site via Limestone Cottage Lane. However this road contains a low arched bridge with restricted headroom of only 10’ 6” which precludes its use by any delivery vehicles. The 3 objections pointing out the impact on the cycling route seem to have been ignored. The only mention of traffic safety in the decision notice is a requirement to have car parking approved by the local authority before the expansion happens. 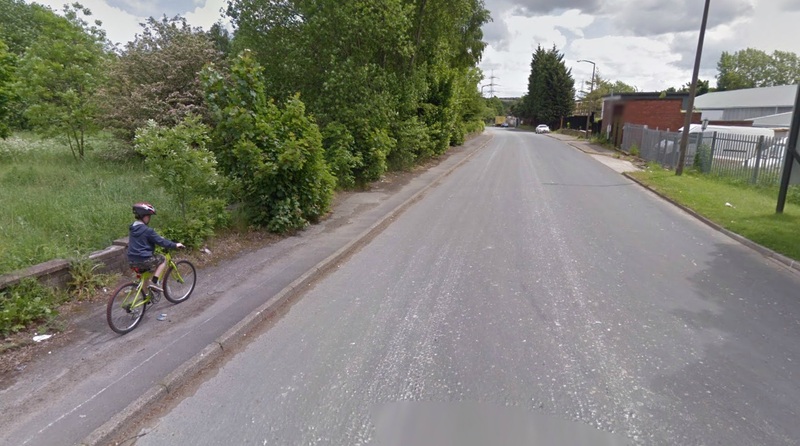 Sorry NCN users, you’re going to have to share the road with more HGV traffic for now. This entry was posted in Uncategorized on October 18, 2013 by Matt.